Lenny Henry on diversity at the BBC Jump to media player Actor and comedian Lenny Henry has called for money to be ring-fenced to ensure more programmes created by black and Asian minority ethnic production teams. Lenny Henry in TV diversity call Jump to media player Lenny Henry says funds should be set aside to boost the presence of black, Asian and minority ethnic (BAME) people in the broadcasting industry. Record shop inspires Lenny Henry play Jump to media player A play co-created by comedian Lenny Henry, inspired by a Birmingham record shop, gets its premiere in the city. 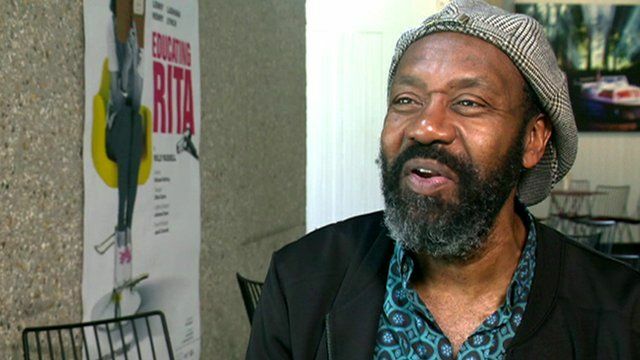 Lenny Henry wins theatre award Jump to media player Lenny Henry wins the Critics' Circle Theatre Award for best actor for his stage role in the play Fences. UKIP man in Lenny Henry tweets row Jump to media player A local election candidate for UKIP sparks fresh controversy for the anti-EU party over comments he made on social media about comedian Lenny Henry. Comedian and actor Lenny Henry is set to become Sir Lenny after confirming he will receive a knighthood in the Queen's birthday honours. Speaking to BBC News, the star said he that the phone had been "on fire" with calls from his family after the news about the honour was first reported in the press at the weekend.